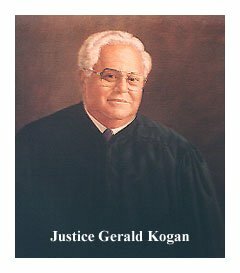 Former Chief Justice of the Florida Supreme Court, Gerald Kogan, will moderate a panel honoring the service of all Jews who have devoted their professional lives to the public to sustain the rule of the law. Panelists: former Chief Justice of the Florida Supreme Court, Arthur England; (Ret.) Assistant Director Miami-Dade Police Dept.Irving "Red" Heller; Dept. of Justice, Southern District of Florida, Assistant U.S. Attorney Karen Gilbert, U.S.
Bankruptcy Judge A. Jay Cristol and Broward County Judge Jane D. Fishman. Reservations: 786-972-3175 or info@jewishmuseum.com. Walk-ins welcome.